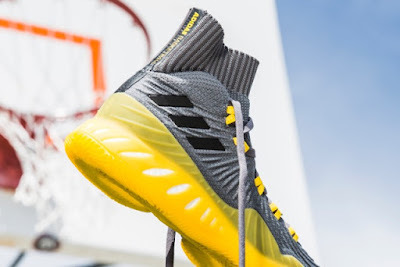 Hoop Nut adidas Crazy Explosive 2017 Kicks Sneaker Review Video Review #PumpedUpKicks: Is this the best adidas basketball shoe ever? #PumpedUpKicks: Is this the best adidas basketball shoe ever? 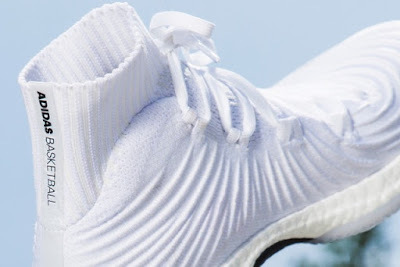 I recently got invited to the adidas x Greenbulb PR x Titan 22 Trial Runs for the Crazy Explosive 2017, and, man, I think MAYBE just MAYBE this is the best on-court sneaker adidas has ever — EVER — produced. 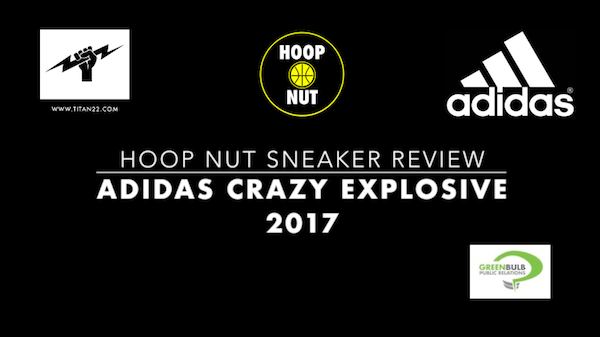 Find out why in the following VIDEO REVIEW — our first ever video review here on HoopNut — of the lit af adidas Crazy Explosive 2017.
adidas Basketball lifts off with the second iteration of Crazy Explosive. Creating confidence to rise above the opposition with the comfort to land from any height. 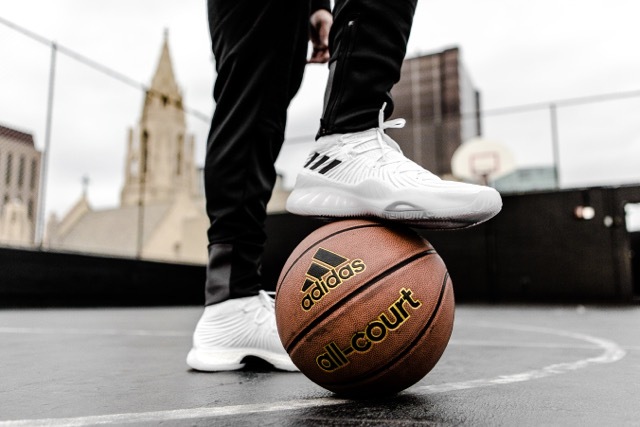 One goal: Help athletes make a difference on the court by creating the greatest basketball shoe ever. Crazy Explosive 17 introduces Forged Primeknit – a single-piece upper designed with areas of unique dimension that create structured support and reinforced stability in key target zones. Paired with ankle and tongue cushioning for lightweight comfort, a sock-like collar ensures natural movement and enhances on-court support. The latest model is lifted on full-length BOOST and wrapped with a lateral TPU roll cage, harnessing its added energy return for heightened control when taking off to the basket. Power traction delivers commanding grip designed for light footwork and explosive gameplay. 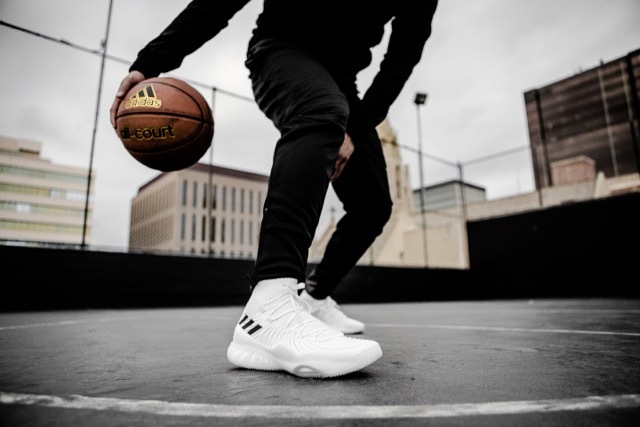 Designed to posterize on the court, Crazy Explosive 17’s Forged Primeknit execution creates an elevated wave pattern across the upper for a bold aesthetic that maintains lightweight durability. 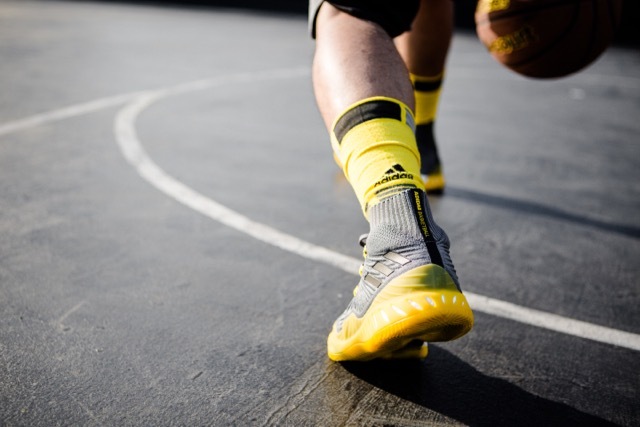 The brand’s three stripes are displayed on the ankle, while ‘ADIDAS BASKETBALL’ is stamped on the heel taping. 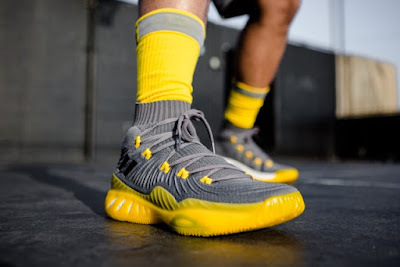 Crazy Explosive 17 in Solar Yellow and Crystal White Primeknit colorways launch on July 26 for P7295 and P8295 respectively with additional drops throughout the year. adidas has been providing innovative products to help the world’s best athletes perform at elite levels for more than 60 years, from past legends to today’s superstars, such as James Harden, Damian Lillard, Derrick Rose, Candace Parker, Nneka Ogwumike, Kyle Lowry, Andrew Wiggins and Kristaps Porzingis. Join the conversation @adidashoops on Twitter and Instagram with #CrazyExplosive. 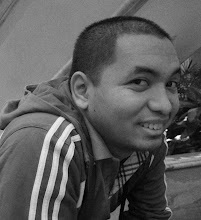 FOR MORE ON ADIDAS, CHECK THIS OUT!